The report from the SWEDEHEART study analysed data from 48,118 patients, 35.4% of whom were women, and all who were diagnosed with acute myocardial infarction. 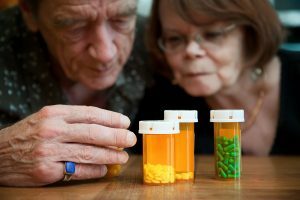 The primary endpoint of this analysis was all-cause mortality, however researchers also looked at the likelihood of patients receiving the recommended evidence-based pharmacological drugs. This study revealed that, on the surface women had a better adjusted prognosis than men after an acute MI. However, scratch beneath the surface and a different picture emerges. Women in the study were more likely to have previously been diagnosed with hypertension or type II diabetes, and were also more likely to develop prehospital cardiogenic shock or in-hospital heart failure. Other findings show that women with STEMI were less likely to undergo coronary angiography than men, and after adjustment of traditional CV risk factors women were less likely to receive evidence-based treatments including beta-blockers, ACE inhibitors, statins and P2Y12 inhibitors. Patients should be prescribed evidence-based medicines regardless of their gender, and this should be a given. Hopefully this study will steer the conversation in the right direction, and encourage the medical community to address this serious issue.